← Is Income Inequality Exaggerated? The debate over the Spirit Level rages on. Since its 2009 publication, Richard Wilkinson and Kate Pickett’s book – subtitled ‘Why more equal societies almost always do better’ – has courted controversy while simultaneously becoming part of mainstream UK political debate. Now a UK social justice foundation has commissioned a review of the book and its critics by an independent academic, to try and adjudicate on where the truth lies – but the answers are as muddy as the debate itself. Quite how the report came about is unclear though, and I’d love to have heard the conversations that led to it. The JRF does not usually play the role of dispassionate adjudicator of debates. Rowlingson starts by saying “it is not intended to be the final word on this debate, not least because new research findings are constantly being published.” As it happens, Wilkinson & Pickett felt the need to have the last word even before future research, by circulating a response to the review claiming “it is marred by important inaccuracies” – more of which at the end of the post. There’s two main conclusions of the Rowlingson Report that I want to dwell on. Firstly, she concludes that “there is indeed a correlation between income inequality and health and social problems”. Given all the arguments about outliers and the sample of countries from the main critics of the book, this is actually a pretty strong conclusion. Secondly, she concludes that “there is less agreement about whether or not there is a causal relationship, but some rigorous studies provide evidence of such a relationship”. She reviews the arguments that the apparently contextual effect of inequality itself is in fact simply a reflection of absolute income, ethnicity, national culture or welfare institutions (see also Rob de Vries’ previous post). One difficulty with this type of review is that it’s necessarily quite superficial – Rowlingson was asked to review a lot of information in a short time for a small, easily-readable report. There are conflicting research findings in the literature, and to truly reconcile each one – for example, the debate over whether it is ethnicity or inequality that is having a causal effect – would be a challenge even for a dedicated, focused review. But more than that, I think we need to dwell upon the ways in which causality can be established in this kind of area. Cross-country comparisons are the subject of enormous debate (particularly within political science) , given that there are a small number of countries are a great number of possible explanations – which makes it very difficult to tease apart different explanations using quantitative methods. For example, Jason Seawright in the excellent 2nd edition of Rethinking Social Inquiry looks at the relationship between democracy and economic growth, going beyond straightforward regressions to e.g. instrumental-variable analyses. He concludes that there is a ‘failure of causal inference’ that he believes ‘extends well beyond the substantive domain under discussion’ to much quantitative cross-national analysis; it’s just not possible to use these methods to convincingly demonstrate causality. All of which means I doubt that nation-state-based quantitative methods can determine causality in a convincing way – as Rob previously argued. This has been the subject of considerable debate (see Goldthorpe’s clear and convincing case for mechanisms from 2001), and the latest Annual Review of Sociology includes a nice summary of present thinking on this. Again invoking Rethinking Social Inquiry, the point is that both qualitative and quantitative methods can provide evidence on causal chains, that then allow us to come to more convincing conclusions. And in the case of The Spirit Level, it is often the mechanism-based evidence that is also the most convincing. Rowlingson reviews the work on psycho-social mechanisms – that the issue is about status hierarchies – and I remember being most convinced by such evidence when reading Wilkinson’s classic 1996 book Unhealthy Societies. Indeed, Wilkinson & Pickett admit that it is not inequality itself that is the issue, but rather that inequality is a proxy for ‘social distance and social stratification’ (again discussed by Rowlingson, citing p27 of The Spirit Level). Fully reviewing the mechanism-based evidence on the effects of social stratification is an issue for another post (and another year). But there are three interim conclusions. I think it’s much more profitable to be arguing about causal chains that it is to argue about cross-country regression models. Intriguingly, Wilkinson & Pickett’s response to Rowlingson do not focus on the causal claims argument (instead rebutting the claim that the size of the effect of inequality is small), despite this being probably the most valuable conclusion of the review. Descriptive statistics have their own power. Even if it’s not inequality that makes Japan and Norway have much lower levels of health and social problems than the UK, Portugal and the USA, there’s clearly something here that’s relevant for policy. 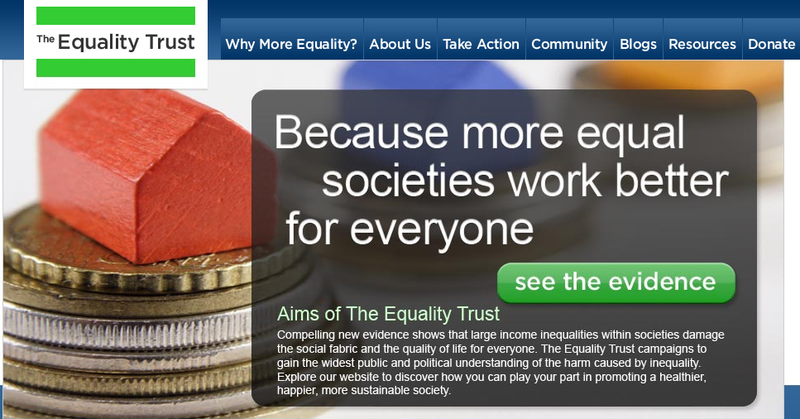 This entry was posted in Articles and tagged cross-national research, effects of inequality, The Spirit Level. Bookmark the permalink. What is the state of our knowledge about absolute versus relative deprivation? My biggest skepticism about inequality causing poor health in the United States context is the obvious correlation between high inequality in states and regions and high levels of poverty. Poverty seems to be a confounder — and the story is not about stratification or social distance — but resource adequacy. I have not read this literature carefully, so I’m eager to know whether any of the recent debates take up this issue. All of which is a way of saying that there’s some suggestive evidence that inequality has effect after accounting for individual income, but that it’s contested. Unsurprisingly. I’m interested if anyone has had a chance to look at this a bit more thoroughly though. I agree with you on the limitations of purely quantitative analysis of relatively small samples of countries in establishing causality. I’m hoping that qualitative comparative analysis, and specifically Charles Ragin’s fuzzy set social science might offer ways to link mechanisms to outcomes in ways that help to demonstrate causal configurations more clearly. I’m planning to use this on drug policy analysis, but would be interested in any examples from other fields of inequality research. It would be interesting to chat about Ragin’s latest version of his Qualitative Comparative Analysis (QCA) – its great strength is the ability to look at complex causality (i.e. there are four paths to an outcome, each based on a combination of several different causes). But its weakness is that (i) it doesn’t deal well with probabilistic causality, even in its latest ‘fuzzy set’ incarnation; and (ii) it’s not always the case that fuzzy set analysis is the best way to bring out mechanisms (there are other tests of mechanisms that don’t involve comparing cases, at least in a simple sense). Still, I’ve been intrigued by the possibilities of it, partly trying to imitate this recent paper in the American Journal of Sociology, but also more generally. I’ll be really interested to see what the fuzzy set analysis would produce, either in drug policy or wider inequalities research!